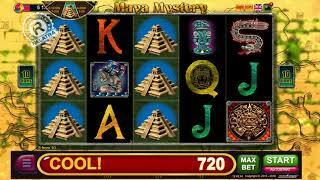 A novelty in the collection of online games BELATRA - mystical slot Maya Mystery. 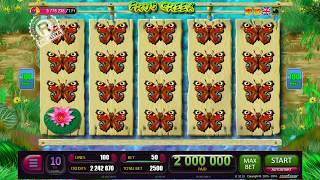 10 lines, 5 reels, card symbols and a bonus in the form of free spins of drums. In order for the gameplay to become more interesting and exciting, we added colorful stylish graphics and animation, characters in Maya style and the thematic sound of the game. 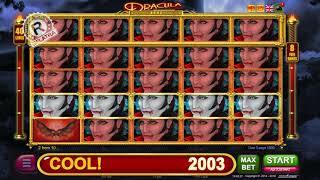 You just need to follow the link and you can play this online slot machine for free and without registration. 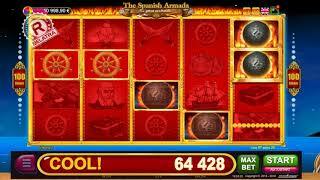 Free games in this slot are a cool classic game in combination with new original "chips". If you get 3 or more "Maya Calendar" symbols, you will get 10 bonus games - this is a classic, all online slot machines know this. But in addition to this, you will get a randomly chosen super-symbol that will occupy the whole drum when it is dropped, thus yielding additional winnings. And, of course, in case if the "Mayan Calendars" fall again during the bonus games, you will receive 10 bonus games again, their total number can reach 150! To try your luck and multiply the amount, after losing the winning combination, play a risk game. If you guess the color of the hidden card, your prize will double, and if you can guess the suit, the amount will increase 4 times! New slot machines BELATRA - you can play online in your home!